There are a ton of good looking games coming to the Vita this Spring. Here are a few I am counting down the days till they are released. Conception II – This JRPG has a free demo out now on the PSN (Vita) that I would encourage you to check out. Your save file will transfer from the demo to the actual game. The premise of this game is that you go to an academy to fight monsters. Once there you find out that you are God’s Gift and that you will basically breed with the highest female rank in the school to have star children to help fight the monsters. You can breed with many of the women and you take your children and the mother into battle. You have to keep a strong connection with the mother and the children for the best outcome. The fighting system to me was very straight forward and so far, at least in the demo, seemed very customizable for teams when you go into dungeons. The demo is fun, silly and campy, and I wasn’t too sure how I felt about it when I started. However, since finishing the demo, I find myself missing the game immensely and I can’t wait for the release. I really encourage you to try out the free demo! I should add this game is also coming to the 3DS as well as the Vita. Check out the trailer here as well as the website for the game here. Check out the few trailers that have been released here as well as the official website for the game here. 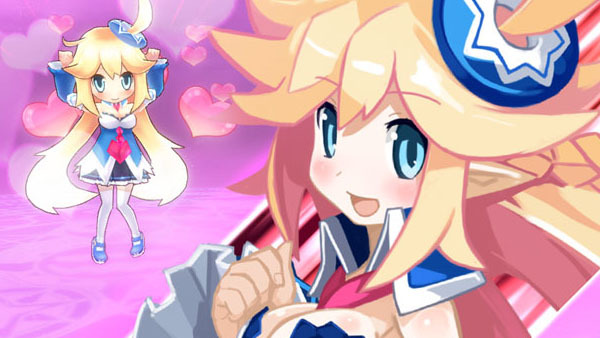 Mugen Souls Z – Is a JRPG that is coming out for the PS3. I won’t lie I’m mainly excited to play as a girl that carries a casket around to sleep in and fight with. It is a single player turn-based RPG and according to the Wiki it is often compared to the Hyperdimension Neptuna series. Mugen Souls Z’s battle system is often compared to Hyperdimension Neptunia mk2, where it is based on wait time determined by the turn meter on the top of the screen but it has it’s own type of gameplay. You can check out the trailer here, and visit the official website found here. Monster Monpiece – While this is not a RPG, I still want to mention it. I was hugely surprised that this card game was making it over to the US. While I have read it is having about 40 cards out of 300 censored it’s still a joy to get to play. Right now it doesn’t have an official release date other than Spring of 2014, but we do know it will be a digital release. You can check out everything about the game at the official website found here. According to the wiki “Monster Monpiece is a card battle game where users collect virtual cards and use them to battle foes. Battles are turn-based and take place on a 7×3 grid in which cards can be placed. During a player’s turn, he or she can drag and drop monster girl cards onto the grid field to activate them. The game contains over 100 different cardsdivided into four types, and not all of them are “monsters”.The four types are melee, ranged, healer, and booster.Melee cards have strong attacks, can survive many attacks, and are good for close-ranged combat. Ranged cards do not have as strong of attacks, but they can attack enemy cards from a distance.Healer cards can heal the wounds of other friendly cards in play.Booster cards support other cards in play by increasing the strength of their attacks or increasing the healer’s abilities.Neptune from Hyperdimension Neptunia receives a cameo appearance if the player reserves the game. These are just some of the games I am looking forward to coming out this Spring. Did I miss one you are looking for? Let me know! lol as long as you are happy! 🙂 ❤ I really am having fun with the demo and I have high hopes for the game personally! I hope you like it! Yeah, a lot of good stuff came out on the Vita recently. Shame that during E3 Sony indicated that they aren’t going to support the handheld much. I own all four of those titles. I beat Conception 2 and Monster Monpiece. I doubt I’ll complete the other two though. Demon Gaze is really tough. I got all of them and played 3 out of the 4. I loved Conception 2, and Monster Monpiece. Demon Gaze was nice but reminded me of why I don’t like rogue type rpgs. I have a friend who played Mugen Souls Z and loved the quirkiness of it, but I have yet to try it. I was upset as well that at E3 Sony didn’t show the Vita more love. It is one of my most favorite systems I own and I wish it got more attention. It’s a great, amazing system that has more to it than just a PS4 remote. I’m curious if you know if the Playstation TV will have a Vita game slot? I can’t find any definite answers yet. From what little I know the Playstation TV does play Vita games. Some titles may however not be supported (for example if they require touch controls.) The TV sounds like a good way of playing Vita titles on the big screen, especially if you are not too fussed about gaming on the go.